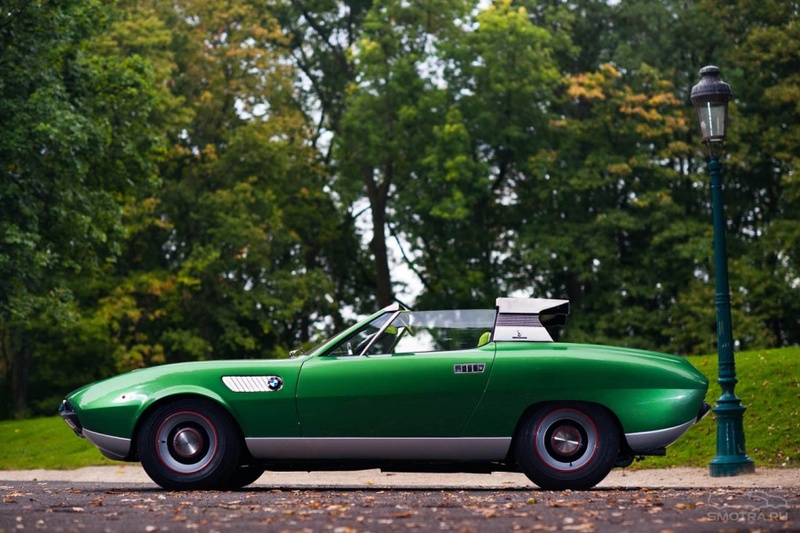 In the 60’s, BMW in collaboration with renowned Italian designers Pietro Frua, Giuseppe Bertone and Marcello Gandini created some interesting concepts, the majority of them in one piece. 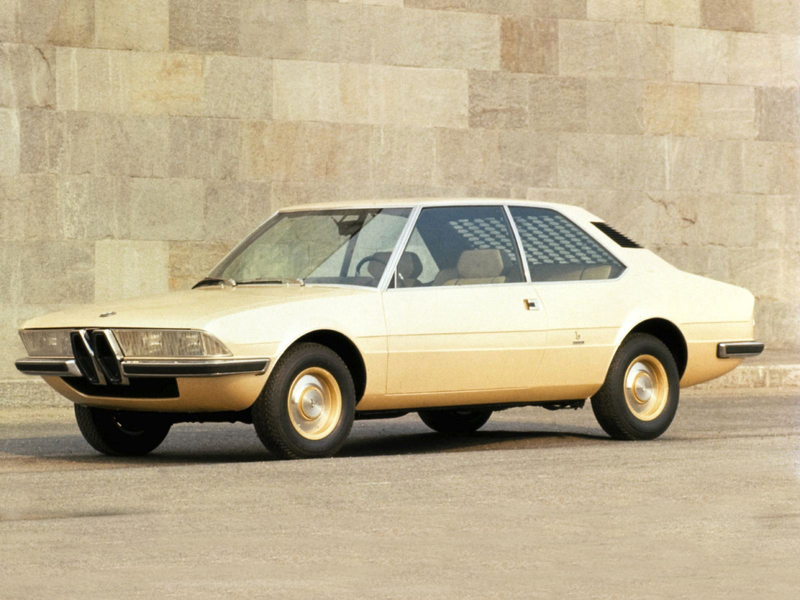 BMW 2800 Spicup from Bertone is somewhat known in the Internet due to its queerness and that it came to our time today in good condition; but the concepts of Pietro Frua are all virtually unknown, you can not even find pictures of a decent resolution. 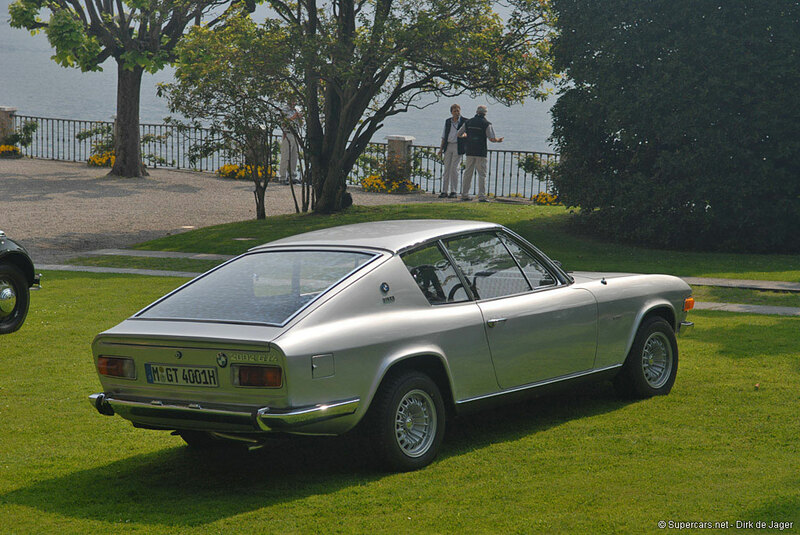 Since the beginning of the sixties, Pietro Frua actively worked on the projects for a small German company Glas; in principle, that time he was at the top of his career and was considered to be one of the most outstanding car designers in Italy. He created models such as sports coupe Glas 1300GT, Glas 1700GT (1964); middle-class sedan Glas 1700 (also 1964, and a little story about this model); sedan Glas 2600 V8 (3000 V8) of 1966, which was often called "Glaserati" for similarity with Frua models designed for Maserati. In 1966, Glas was taken over by BMW concern, and some models that were considered unpromising, were taken out of production, except a few models of Pietro Frua – an exception was made for them: they were produced a few years more under the brand name and the logo of BMW. It was BMW/Glas 3000 V8, BMW 2000SA and BMW 1600GT. 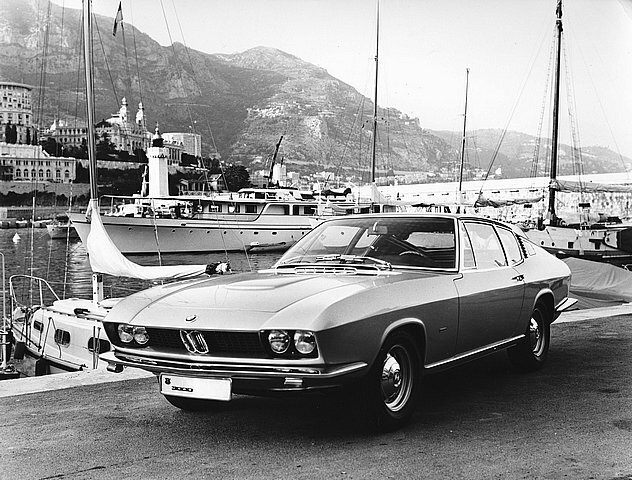 Along with these models, Frua had several experimental developments on the basis of production models of Glas. 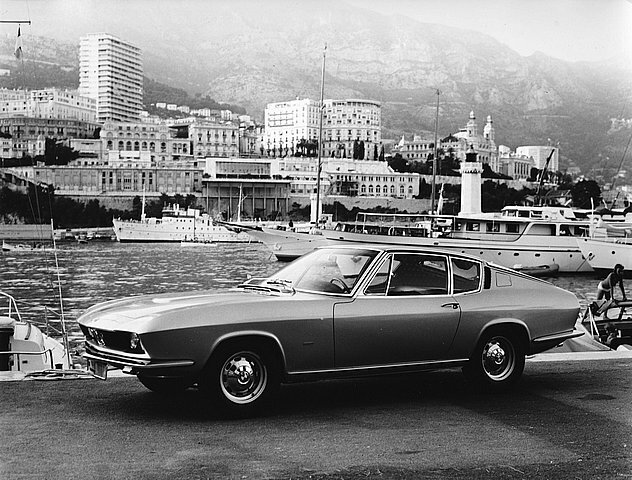 In 1967, at Frankfurt Motor Show, Frua showed BMW/Glas 3000 V8 Fastbackcoupe, designed on the basis of Glas 3000 V8 in a single piece in fastback coupe body. 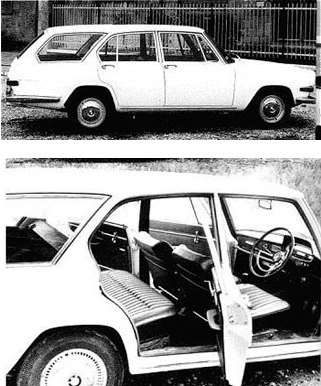 It, in contrast to the previous models developed by Glas, already had BMW-style "kidney grille". 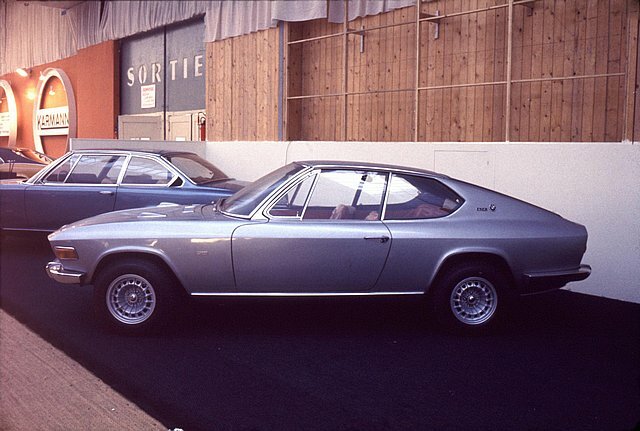 Later it was demonstrated at the Motor Shows in Paris (1967), Geneva (1968) and Barcelona (1969). 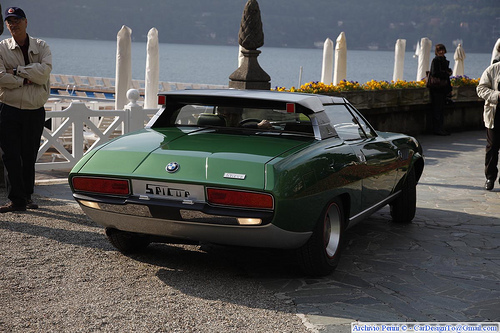 It was assumed that this model would be one of the major in a series of sports cars from BMW, but in 1968 they decided to abandon this idea and focused on the development of BMW 3.0CS. 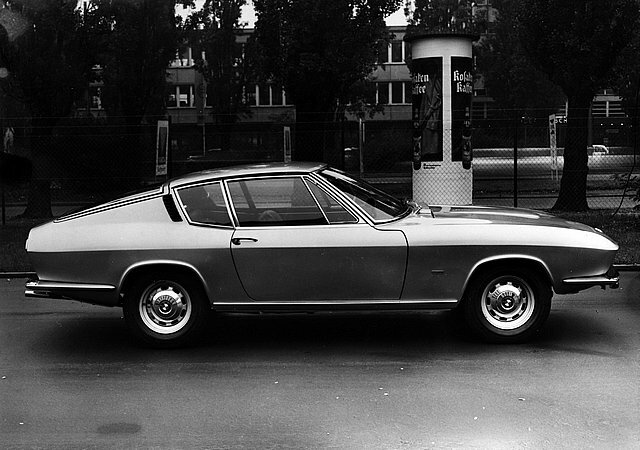 A very similar model – BMW 2000ti Coupe, again built in a single piece upon an unknown order and designated as "Project 350", was demonstrated at Paris Motor Show in October 1968. 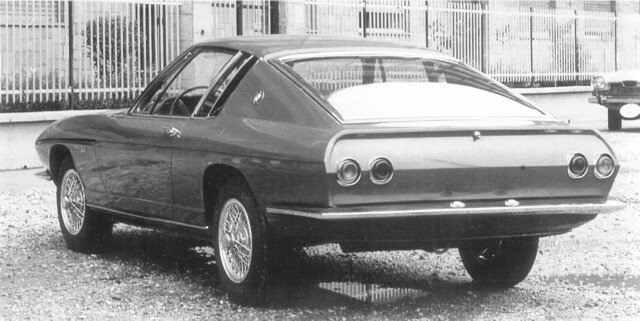 It appears that, it was a development of the idea of Monteverdi 2000 GTI, which Frua demonstrated in March 1968. BMW 2000ti Coupe was equipped with 1,990 cc engine from BMW 2000SA. BMW 2002 GT4 Coupe is a relatively well-known model (probably, again, because it came to our days in good condition) of 1969 from a series of heritage of sports coupes from Glas ("Project 361/1"). Unlike other sports cars from Glas, this model used the chassis of BMW 2002ti, and the front part of the body was borrowed from BMW 2500 (E3). For the first time BMW 2002 GT4 Coupe was demonstrated at Paris Motor Show in October 1969, a year later a second built piece was demonstrated there. BMW 2002 GT4 Coupe had an engine with 120 h.p., disc brakes – front, drum brakes – at the back and independent rear axle, as in BMW 2002. 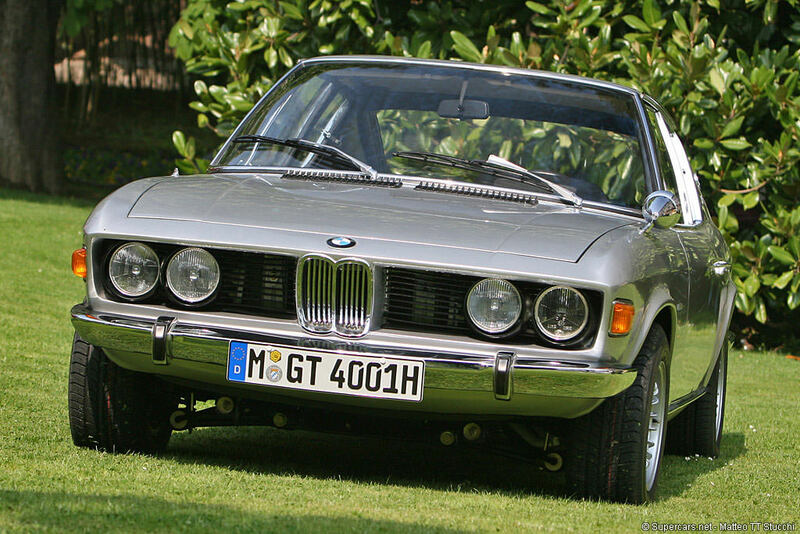 When designing, high hopes were put on 2002 GT4 , given the popularity of BMW 2002, especially in America, but due to unknown reason, BMW decided to abandon further development. 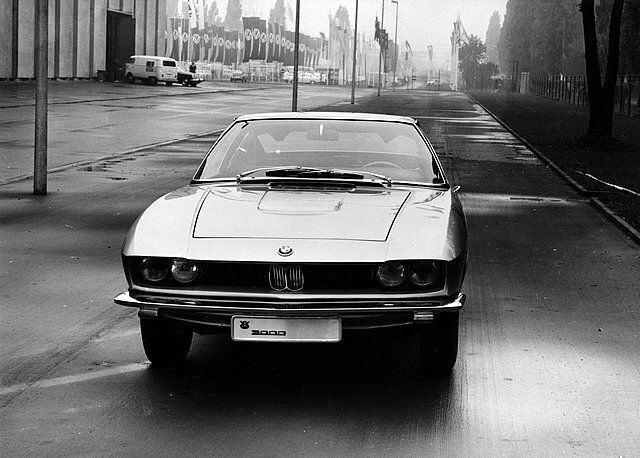 Another model from the late sixties (1969) – BMW 2800 GTS Coupe, about which almost nothing is known. Pietro Frua died from cancer after unsuccessful operation on June 28, 1983, a few weeks after his seventieth birthday. BMW 2800 Bertone Spicup became the embodiment of the idea of coupe-cabriolet from such an exquisite duo as Giuseppe Bertone and Marcello Gandini. Chassis for this concept was taken from BMW 2000CS, and in-line six-cylinder 2.8-liter engine of 170 h.p. – from BMW 2800. The “roof” in the form of metal panels was the most controversial element of design, which served not only as a design element, but also was intended to increase safety of the passengers, and it may be that it was the cause of failure of the model: Spicup was demonstrated in 1969 at Geneva Motor Show and after that, management of BMW (after analyzing the reaction of the audience) decided to abandon the design so unlike any other BMW models. 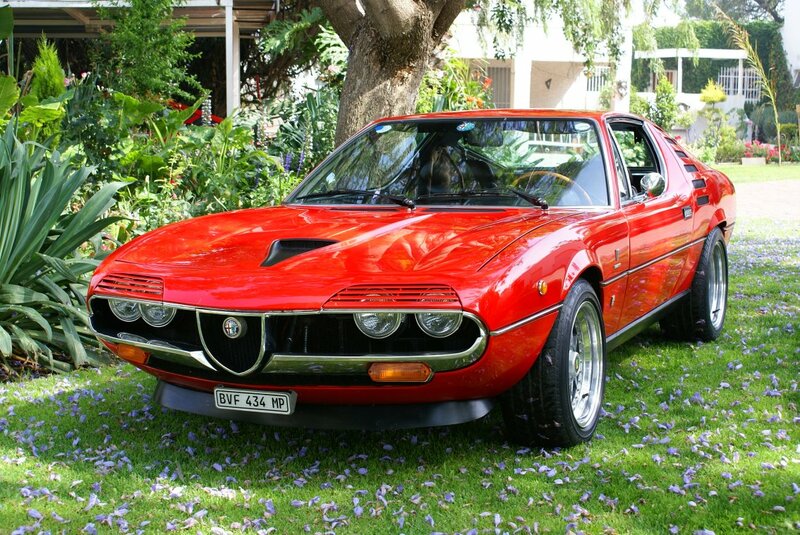 Perhaps another reason was the almost complete similarity of Spicup front with another model from Gandini – Alfa Romeo Montreal, released three years earlier and shown at Montreal Expo – 1967. It was decided to sell the prototype, actually not having much of the future, immediately after the show to the enthusiast who repainted Spicup from exhibition green color to orange, and managed to drive nearly 100 thousand kilometers in Europe in it (this, apparently, was possible thanks to the chassis and engine from BMW). 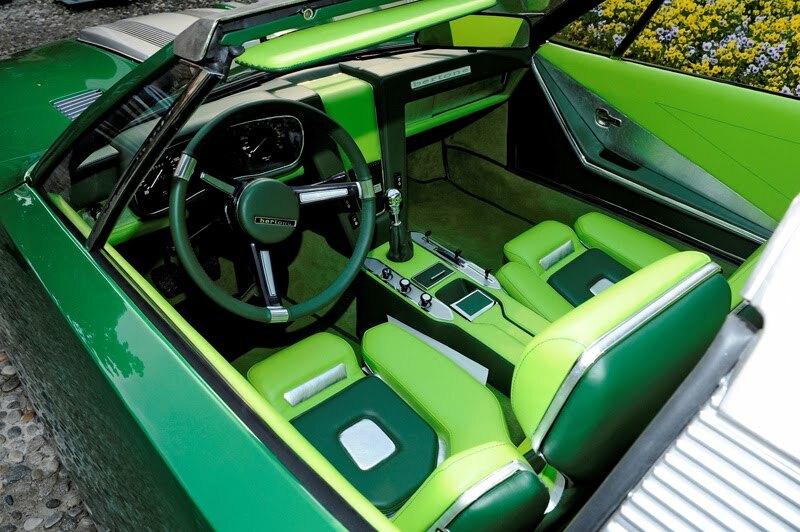 After that, it disappeared from sight, and appeared in 2009 at Villa dEste Concours exhibition, completely renovated and painted in the author’s green. All this was made possible due to enthusiast Paul Koot, who actually found the car, a Belgian motorist Roland D'Ieteren who bought it and BMW which sponsored the exhibition of 2009. 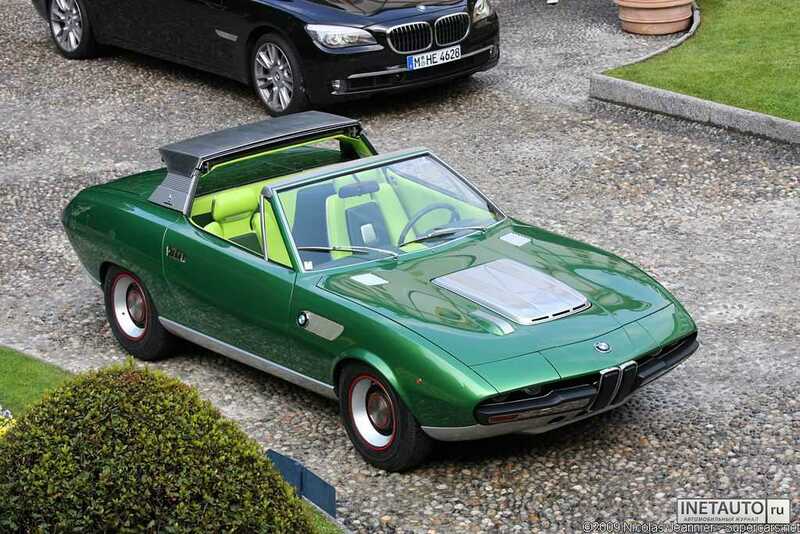 However, after abandoning Spicup, cooperation of Bertone with BMW did not ceased. 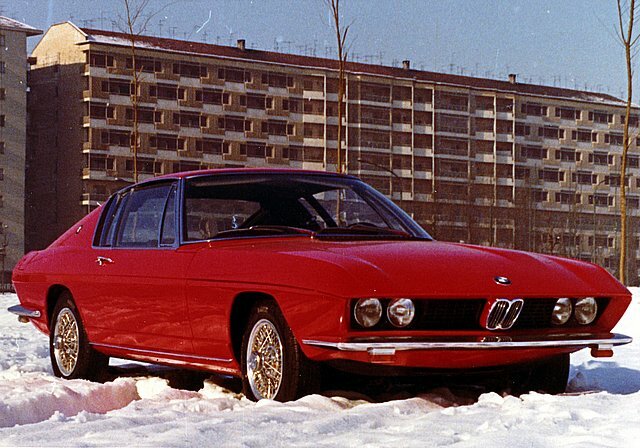 BMW needed to refresh the design of their “middle class”, and they started to implement in at Bertone: based on BMW 2200 TI chassis, a prototype was designed in 1970, called BMW 2200Ti Garmisch. 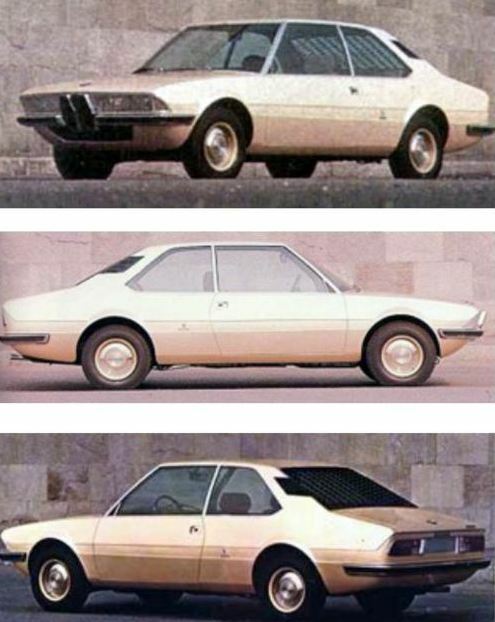 As a result, shown at Geneva Motor Show in 1970, this four-seater sedan opened was a "breath of fresh air", no less, no more, in all Italian car design. Gandini managed to achieve a very close interaction between usability and prettyism, and, after some minor improvements, Garmish marked the beginning of a new era in BMW – the first design of the fifth series of BMW – E12.